buildOn builds HOPE. Its mission is to break the cycle of poverty and illiteracy through service and education. BuildOn builds schools in developing countries and supports struggling communities in Unite States. Here are two videos about buildOn and its Founder, Jim Ziolkowksi. Below you can read FAQ on how the schools are built and maintained. 1. How do schools get built? Before breaking ground on a new school, every member of the partnering community, both men and women, must sign the buildOn Covenant. The Covenant is a solemn promise between buildOn and each village outlining their respective contributions to the project. 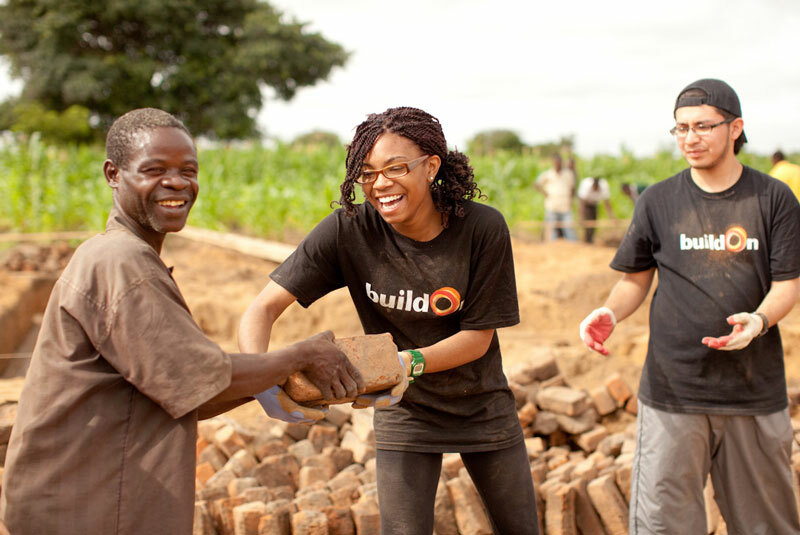 buildOn contributes the engineering, materials, skilled labor and project supervision. Each village provides the land, local materials such as sand, and the unskilled labor to build the school. Additionally, every village promises to send girls and boys to school in equal numbers. Once money is raised, it takes between 10-12 weeks to complete the school. Yay!!!! 2. Who teaches and runs the schools? buildOn has a partnership with the Ministry of Education. Through this partnership, they provide teachers for all schools. Also, once a school is complete, buildOn staff carefully monitor and evaluate its success. If after three years all aspects of the covenant have been continually upheld, and the community’s daughters have been educated as well as its sons, buildOn will return to aid in the construction of a second school. This approach incentivizes success, and illustrates to communities the power of teamwork and equality. 3. Does buildOn do work in United States? Yes! buildOn works in under-served schools across the country. 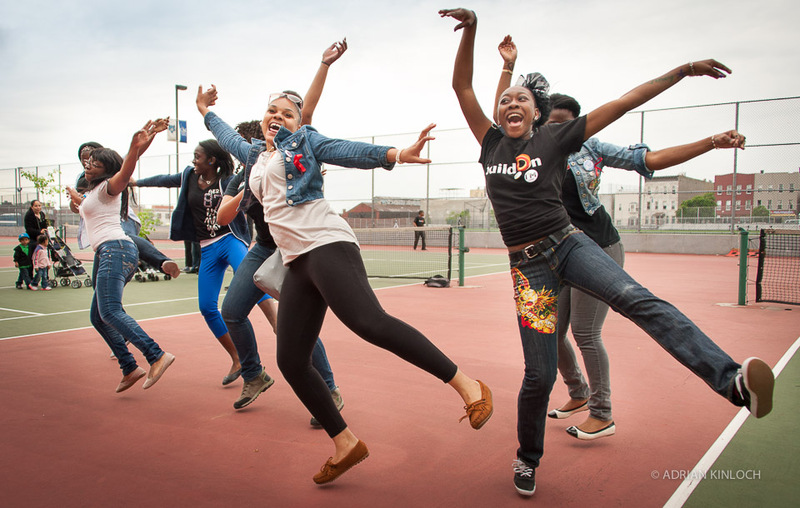 On the East Coast, buildOn works in Boston, Stamford/Bridgeport, NYC and Philly. In the Midwest in Chicago and Detroit. On the West Coast in SF/Oakland. Students participate in service and engagement activities throughout the year geared towards strengthening their schools and communities. Projects address poverty, food insecurity, insufficient housing, caring for the elderly, tutoring young children, community development/beautification, anti-bullying/anti-violence, etc. Twelve students from each school are selected to go on trek program each year. I have documents with an overview of all US programs that will give you further details about buildOn programs. Feel free to reach out to me, I’d be more than happy to share them with you. 4. Can I travel to the locations where schools are built and help? Absolutely!!! buildOn has an Ambassador Trek program. This program allows you to travel and spend 6-9 days helping the local villagers and I build the school! How amazing that is?!!! It costs $875/person and that covers all housing, food, transportation (except airfare) and in country costs. 5. Where can I see buildOn’s finance and a breakdown of how money is spent? In 2014, Charity Navigator, the leading non-profit rating agency, awarded buildOn its highest 4-star rating for the tenth year in a row. Only 1 percent of charities rated by Charity Navigator has received this commendation over eight consecutive years, and it reflects buildOn’s continued sound financial management and high degree of accountability and transparency.